"5, 6, 7, 8!" Those four numbers were imprinted on my brain as I danced my little heart out as a child. My parents had wisely enrolled my sister and me in jazz, tap, and ballet classes, and I worked hard to learn each step. I particularly looked forward to performing - and not just because of the sparkly costumes. :) I loved the feeling of expressing myself through dance. Even when there was no stage, my family was treated to private performances of jazz and tap routines set to Paula Abdul and Michael Jackson tunes. Through high school, college, and grad school, I took whatever dance classes I could fit into my schedule. My last formal performance was in Irvine, California during a grad school internship: a tap routine to a Ray Charles song. (It's on a VHS tape somewhere. . .) My dancing days have now dwindled into random, rare nights out at the club. And of course, mini-performances for my biggest fan, little Ruby, who is becoming quite the little dancing princess. I'm a little out of practice, but it's starting to come back. . .
P.S.-All photos were courtesy of my talented friend Erin of Turn Around To Me. Check out her blog - it's a really fun read! 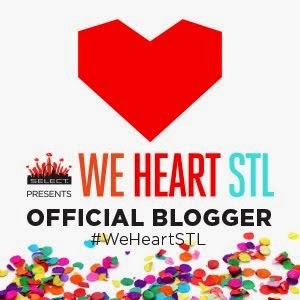 P.S.S-Don't forget to cast your vote for The Ruby Zipper for "Best Personal Style Blog" and "Best Event Host" for the St. Louis Blog Awards. Your support means everything!